A remarkable definitive work that breaks all convention about what a hip hop beatbox blues harmonica spoken word americana album is supposed to be. C.R. Avery is a one man hip hop beatbox blues harmonica Americana iconoclast: musical guest (Be Good Tanyas, Po Girl); group member (Tons Of Fun University), songwriter (Jolie Holland); playwright, and poet (the international slam poetry circuit). Tom Waits is a fan and brought C.R. up to perform on stage with him in Germany. If Lawrence Ferlinghetti could play harmonica like Little Walter, you'd have an idea of what a groundbreaking piece of work this is and the genre busting audio statement that defines Magic Hour Sailor Songs. C.R. Avery is a musicians' musician. He is admired by and has performed with Tom Waits, Ani DiFranco, Utah Phillips, Sage Francis and others. This is his new solo album and we're proud to bring him to a wider audience. Whether playing in front of thousands on the folk festivel circut or in a small cafe in Berlin or Edinburgh, C.R. Avery is a unique and electrifying performer. He simultaneously beatboxes, sings, plays harmonica and a Herbie Hancock 80s style red rocket keytar. Having drawn from a well of influences, C.R. is to hip-hop what Jimmy Reed was to Chicago blues; a one man traveling troubadour - but he is one for these modern times. C.R. 's lyrical skills and vocal delivery have brought him to the forefront of the international spoken word scene. He is a past winner of the CBC national Poetry Face-Off. Scratchy, smoky, beaten by years of cigarettes and off-mike shouting in cabarets all over the world, C.R. Avery's voice is instantly identifiable. C.R's lyrics come from his slam poetry pieces, honed by the merciless, sudden death, one-victor-and-all- others-cast-aside competitive nature of the slam world. As such, having been performed in front of an audience that demands both intellectual clarity and visceral honesty, competing against the very best work of the very best poets, his pieces are crafted to a necessary perfection. 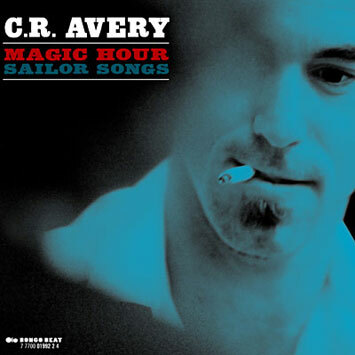 Magic Hour Sailor Songs is an elegiac poetic tour de force, bending and criss-crossing genres; there's a string quartet, an all female jazz choir and the best out there jazz & classical musicans - creating something rarely seen these days; a genuinely powerful artistic work.